Committing to someone for life is a major decision. It is therefore of no further surprise that many people struggle to make up their minds. 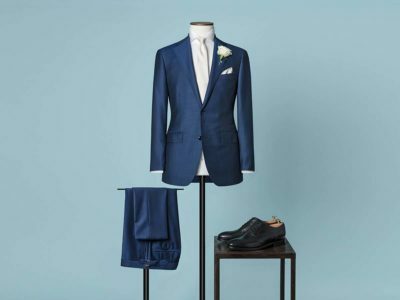 Likewise, it is not surprising that an extensive wedding industry caters to all needs – from psychological counselling to finding the right outfit. 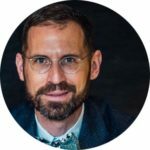 The latter is often well-chosen – but not always – because quite a lot of what the industry has to offer in terms of ceremonial suits is simply unworthy of a man with a grain of self-esteem. 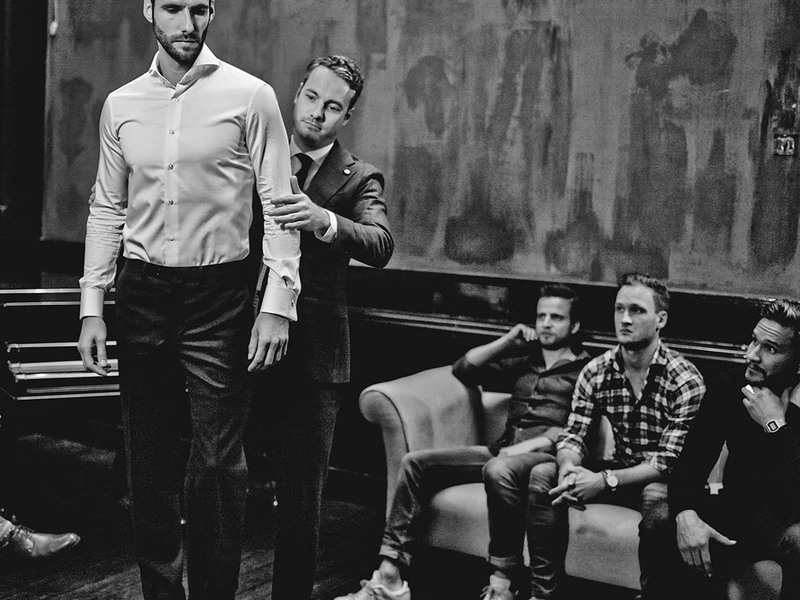 Luckily enough, there is always the classic wardrobe to fall back upon – and it does make most men look good. But it is also highly dependent on the impeccability of details. 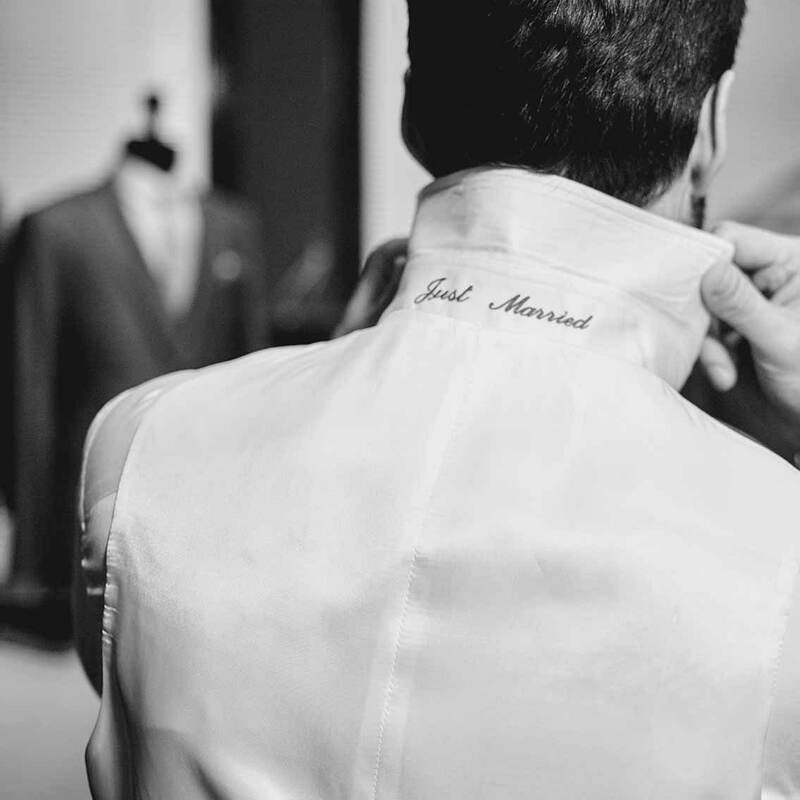 A groom who takes himself halfway seriously will therefore not be able to avoid making an appointment with a made-to-measure specialist who will custom-tailor a suit to fit its wearer immaculately – irrespective of any possible shortcomings or particularities. Do remember, however, that consulting, the taking of measurements, the tailoring of the suit and fittings will require approx. six weeks, all in all. So do make your appointment in time. 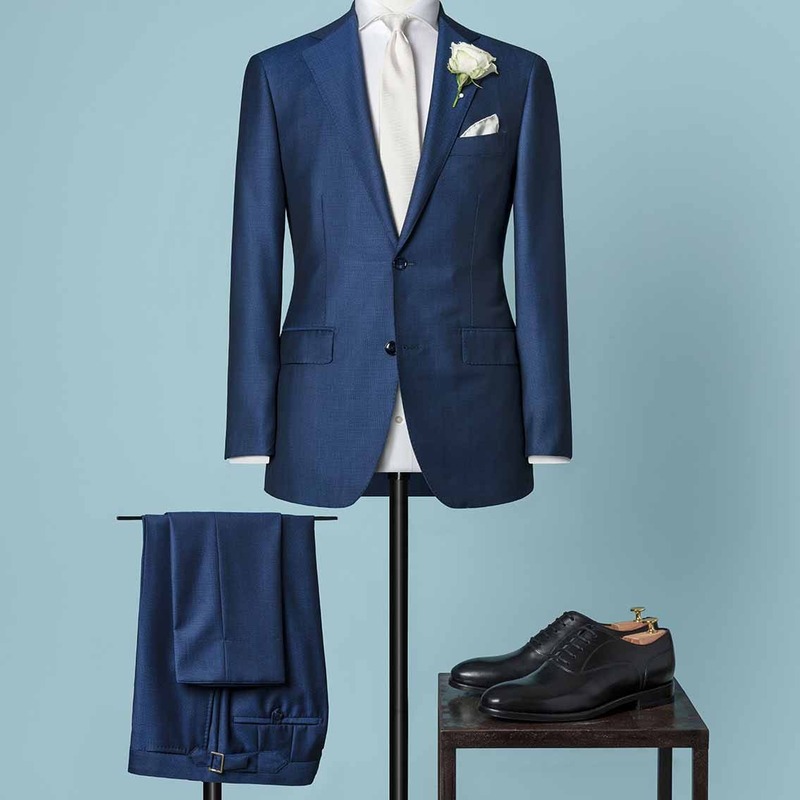 It is needless to say that a wedding suit should be in a dark color – except if you intend to have a prankish kind of wedding, with everyone in vibrant colors. Ecru and white are taboo, as these colors are reserved for the bride. The suit may be festive but should not be a tuxedo, as they are only be meant to be worn at night. Shiny fabrics and patterns should also be avoided. We are convinced that there are better possibilities to shine than by reverting to superficial textile effects. Pinstripes are just as wrong as checks. A waistcoat is an option but not a necessity. Your wedding shirt should always have double cuffs for stylish cufflinks. A normal business shirt is simply not dressy enough. 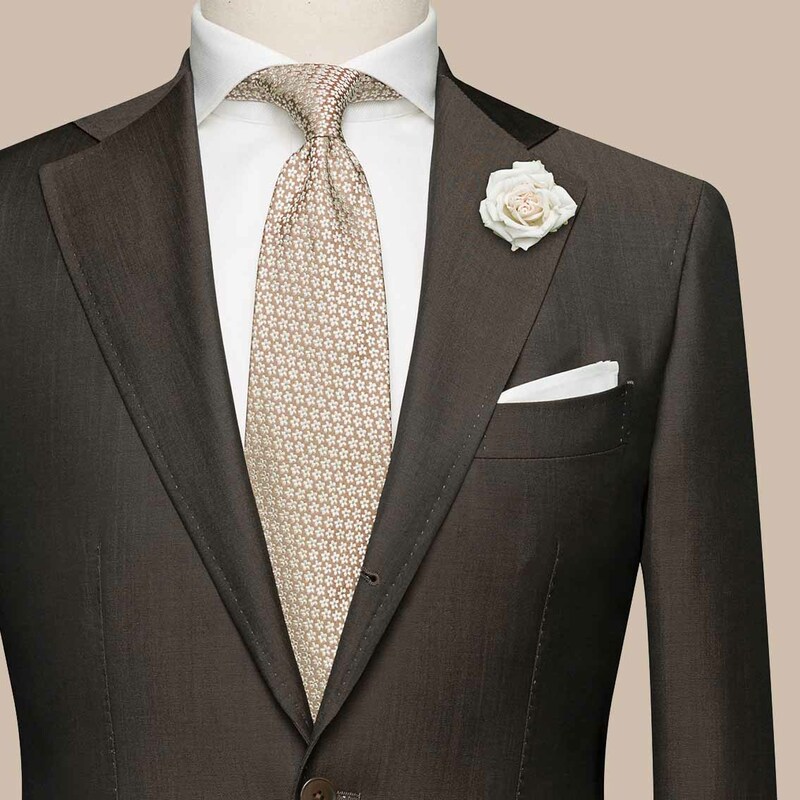 Bow tie or tie for a wedding is a choice to be left to personal preferences. 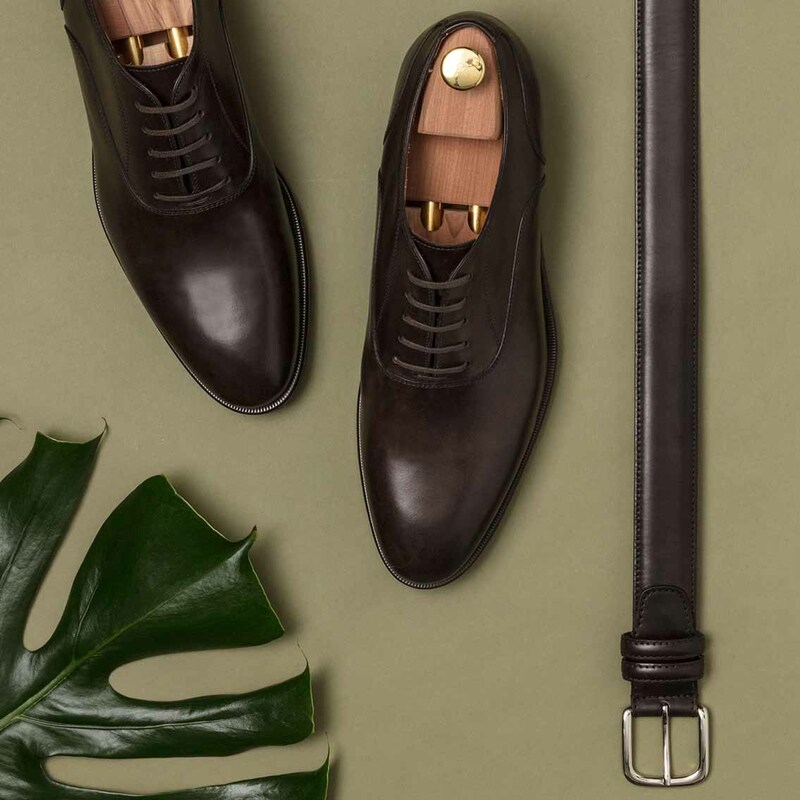 And the most important component of a sharp wedding look? The shoes. Obviously, they need to be laced and have leather soles.